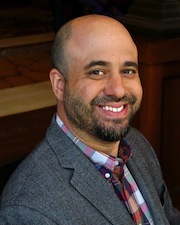 Dr. Posecznick has been Program Manager and a member of the associated faculty in Education, Culture and Society and International Educational Development since 2011. His professional expertise blends both a strong background in research and in academic policy and administration, providing him with a unique perspective on the culture of higher education and meritocracy. Dr. Posecznick's most recent work exploring these notions in college admissions has been covered by the Chronicle of Higher Education and InsideHigherEd.com. He has published in Ethnography and Education, Policy Futures in Education, and coedited a special issue of Learning and Teaching, which examines the relationship between the university, academics, and the state. He has reviewed manuscripts for American Anthropologist, Ethos, Anthropology and Education Quarterly (where he is a member of the editorial board), and the annual meetings of the AAA and AERA. He was co-chair of the Council on Anthropology and Education’s committee on post-secondary education for a number of years and was named a CAE Presidential Fellow in 2013. 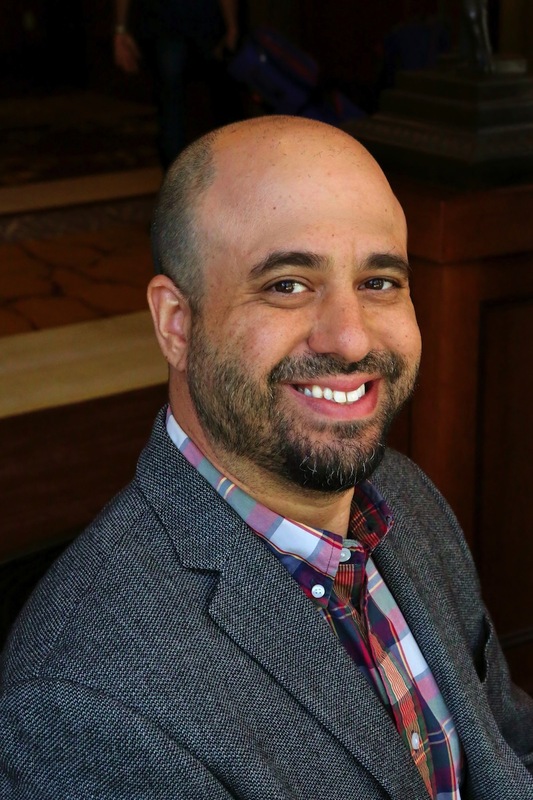 Dr. Posecznick has presented numerous papers at such venues as the American Anthropological Association’s annual meeting, Penn’s Ethnography in Education Research Forum, and Oxford’s Ethnography and Education Conference. He has also written for the popular anthropology blog Savage Minds. Dr. Posecznick is a member of the Ethnography in Education Research Forum's Advisory Board, housed in GSE’s Center for Urban Ethnography. Dr. Posecznick’s expertise lies in cultural anthropology, qualitative methods, and higher education. He examines organizational culture, policy, and practice through ethnography, with particular emphasis on legitimacy, merit, gatekeeping, access, equity, and opportunity structures. This has also led him to explore the production of the neoliberal subject in post-secondary settings, as well as entrée into professional identities through post-secondary education. Dr. Posecznick’s research has focused on non-traditional student retention in college, non-traditional engineering students coming into a professional engineering identity, and a close examination of college recruitment and admissions. This most recent work on college admissions and recruitment, funded by the Wenner-Gren Foundation, demonstrates the challenges faced by a small urban college as it struggles to both compete in a tight educational marketplace and change students’ lives. Dr. Posecznick draws on ethnographic methods to describe the delicate balance that many educational institutions must walk in the current economic climate: the line between empowering marginalized students and exploiting them. Selling Hope and College, the book based upon this work, will be released from Cornell University Press in Spring 2017. 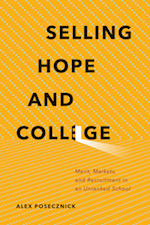 Read more about "Selling Hope and College: Merit, Markets, and Recruitment in an Unranked School"
Posecznick, A. (forthcoming). Engineering success: Embodying and performing neoliberal achievement through pouring a bottle of water. In B. Urcioli (Ed. ), The experience of neoliberal education. New York: Berghahn Books. Posecznick, A. (Under review). Selling Hope and College: Ethnographic Encounters with Admissions in the Era of College-for-All. New York, NY: American Educational Research Association, Annual Meeting. Posecznick, A. (2017). Selling Hope and College: Merit, Markets and Recruitment in an Unranked School. New York: Cornell University Press. Posecznick, A. (2016). The Promise of Hope and Happiness through Education. Research paper at Minneapolis, MN: American Anthropological Association, Annual Meeting. Posecznick, A., & Shumar, W. (Eds.). (2014). Collusion, complicity & resistance: Theorizing academics, the university and the neoliberal marketplace [Special issue]. Learning and Teaching: The International Journal of Higher Education in the Social Sciences, 7(1). Posecznick, A. (2014). Introduction: On theorizing and humanizing the politics of complicity in higher education. Learning and Teaching: The International Journal of Higher Education in the Social Sciences, 7(1), 1­­–11. Posecznick, A. (2014). Beaten Down, Measuring Up: Intimate Brands, Educational Infrastructure, & Future Fantasies. Research paper presented at Washington D.C.: American Anthropological Association, Annual Meeting. Posecznick, A. (2013). Constructing legitimacy in a non-selective, American college: Unpacking symbolic capital through ethnographic moments. Ethnography and Education, 8(1). Posecznick, A. (2013). Anthropologist as Scholarly Hipster. Research paper presented at Chicago, IL: American Anthropological Association, Annual Meeting. Posecznick, A. (2012). Provoking aspiration: Negotiating the potentiality of identity in college recruitment. Research paper presented at San Francisco, CA: American Anthropological Association, Annual Meeting. Posecznick, A. (2010). [Review of the book Service-learning and social justice: Engaging students in social change, by S.B. Cipolle]. Education Review, 13. Posecznick, A. (2010). How to sell mobility: Marketing the non-selective college. Research paper presented at New Orleans: American Anthropological Association, Annual Meeting. Posecznick, A. (2010). “Real” colleges don’t “do” business: Merit from carpeting to classrooms. Research paper presented at Oxford, UK: The Oxford Ethnography Conference. Posecznick, A. (2009). [Review of the book Fertilizers, pills, and magnetic strips: The fate of public education in America, by G. Glass]. Anthropology and Education Quarterly, 40(2). Posecznick, A. (2009). “It's all about the Numbers:” Imagining Students in a Neoliberal College Bureaucracy. Research paper presented at Philadelphia, PA: American Anthropological Association, Annual Meeting. Posecznick, A. (2008). How to Pour a Bottle of Water: Performance and Achievement at a College Engineering Competition. Research paper presented at Philadelphia, PA: Ethnography in Education Research Forum at the University of Pennsylvania. Posecznick, A. (2006). Engineering Success: Movement and Continuity within Communities of Practice. Research paper presented at San Jose, CA: American Anthropological Association, Annual Meeting.